So few electronics are homegrown these days, which is probably because everyone in CO can make more money just home-growing. 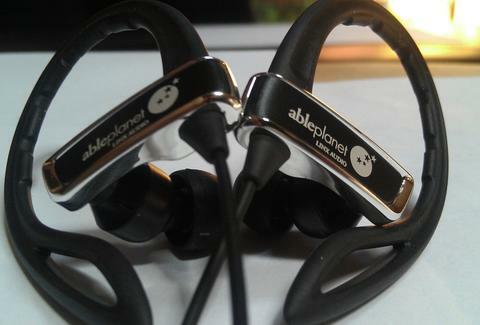 For a new line of headphones designed by the good people of Wheat Ridge, check out Able Planet. SI200: The most basic in-ear offering, this guy includes their patented, award-winning LINX Audio technology, plus it has a "better connection" than their previous models, and "thicker wiring" to help it withstand a beating -- Spider-Man musical: take notes. SI250: Designed for people who have a "sport/active lifestyle" (i.e. everyone here, as mandated by Colorado state law), this model hooks around the ear with "soft, textured plastic". SI350: The series' top dog, it rocks all the same features as the 250, but adds a microphone, which they suggest is perfect for the "gym rat" who "gets calls in the gym and has to take care of work", ironically ensuring they are not taking care of business. Two plates, son! Four reps! In a week or two, they'll also be releasing their more upscale, in-ear Sound Clarity to I-Tech/ Blue Wire in DIA, Costco in Long Tree, and Brookstone in Cherry Creek, or, order them off Able Planet's site and they'll gift you a Nano, perfect if you like free stuff, and your plant business prevents you from ever really getting off the couch at home -- groannn.